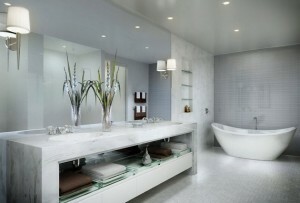 Bathroom Renovations – Pleasure or Pain? Bathrooms have certainly come under significant review over the past 10 years. New homes and bathroom renovations can produce bathrooms with stunning characteristics and visual appeal. From tiling, baths, basins, showers and tapware the choices and options seem endless. The general view that after the kitchen, the bathrooms are the most expensive rooms in the home is clearly understandable. With this backdrop it is hardly surprising that many home owners embark on construction journeys to transform tiered and outdated bathrooms into the stunning and glamourous masterpieces often seen in the glossy magazines and home renovation shows. When it goes well it can go very well. When it goes bad, it can similarly go very bad. 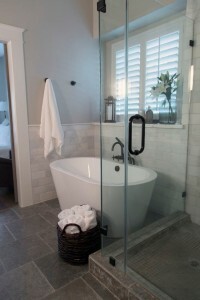 The following are some simple steps that home owners should follow with their bathroom renovation projects. Due diligence on any supplier is critical and can avoid costly issues. Do not just read the glossy brochures, dig deeper and call references. You need to satisfy yourself that the supplier can do the work, at the required standard, within the time frame and without unplanned cost overruns. Time spent on research before committing to the contract can save substantial sums and considerable angst down the track. By ensuring that the above requirements are stated in all of your correspondence and discussions you can at least reinforce the expectations that a minimum standard of acceptable work is expected. It is not necessary that you are aware of or understand all of the individual requirements contained in the above, but they serve as an excellent future reference point if required. If your supplier does not understand all of the above, it’s simple, find another supplier. Contracts in WA for bathroom renovations which exceed $7,500 will fall under the Home Building Contracts Act in WA. There are important protections here that all home owners should be aware of. https://www.houspect.com.au/wa/fundamentals-home-renovations/ .Where the contract is for less than $7,500, home owners are encouraged to apply as much of the attributes of the contract requirements captured by the Home Building Contracts Act as is possible. Where the costs of the building work exceeds $20,000 or a building permit is required, a Registered Building Contractor is required to be used. Contracts for the work MUST be in writing. Contracts must contain all the terms, conditions and provisions of the agreement, show the date and be signed by both parties. An oral agreement is not sufficient to comply with the Act. Once work has commenced, any progress payment must only be for work actually performed or materials already supplied. Usually, any variation to a home building work contract is to be in writing, show the date and be signed by both parties with a copy given to the home owner before the variation work commences. A contract cannot restrict inspections except by limiting them to normal working hours or forbidding inspections that would unreasonably impede or interfere with the building work. Home indemnity insurance (HII) covers the home owner, and subsequent owners, against the loss of deposit (up to $20,000) or the completion or rectification of the building work (up to $100,000) should the builder die, disappear or become insolvent within six years from the date of practical completion. It is compulsory for all residential building work above $20,000 to be covered by HII, except associated work alone (eg swimming pools, carports, pergolas and landscaping). The WA Building Commission can deal with contractual disputes relating to lump sum home building work contracts between $7,500 and $500,000, provided the complaint is lodged within three years from when the cause of the dispute arose. Complaints about the standard of workmanship can be lodged regardless of the value of the works, provided the complaint is lodged within six years after the completion of the works. There are a variety of remedies defined within the Act. There are a range of external reference documents which can apply to bathroom renovation including Australian Standards 3958.1 Guide to the installation of ceramic tiles. WA Building Commission Complaint Reports, in the format required by the WA Building Commission, to support a formal complaint against the supplier. PreviousPrevious post:Exposed Aggregate – The Wonder Product for New and Existing HomesNextNext post:Rusting Lintels – Should I Be Worried?